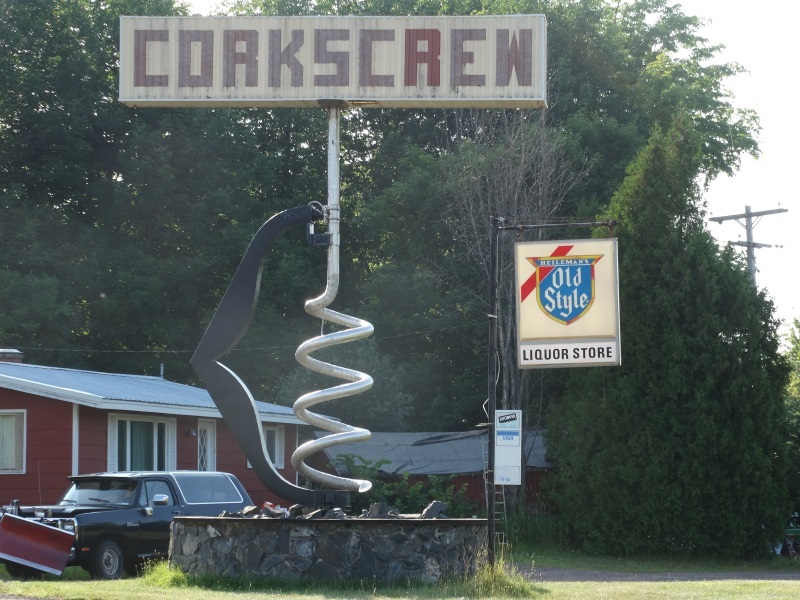 Some places in Vienna, Austria and Bangkok, Thailand may beg to differ, but Hurley, Wisconsin lays claim to the World’s Largest Corkscrew. 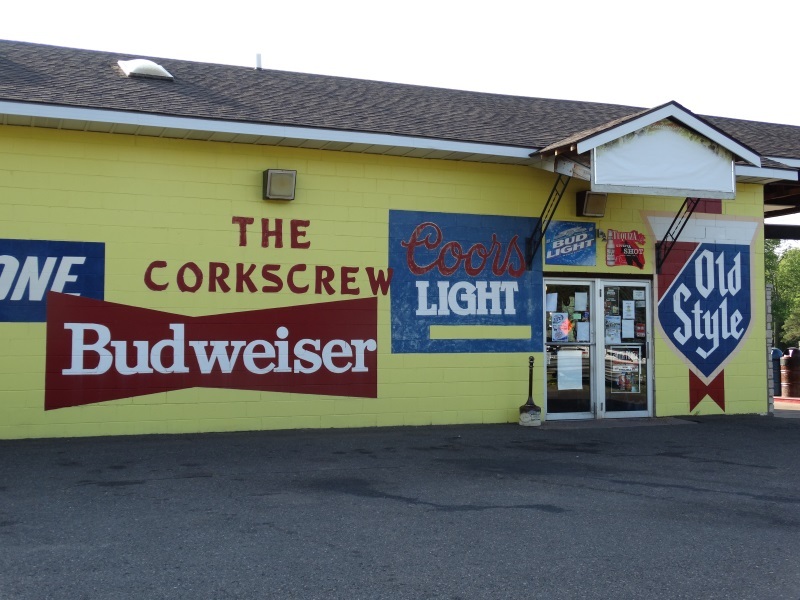 It’s located along U.S. Highway 2 just west of the Wisconsin-Michigan border by about one mile on the northern side of Hurley. It’s also just west of national northern terminus of U.S. 51 and the eastern end of Highway 77. It’s right in front of – fittingly enough – a liquor store. 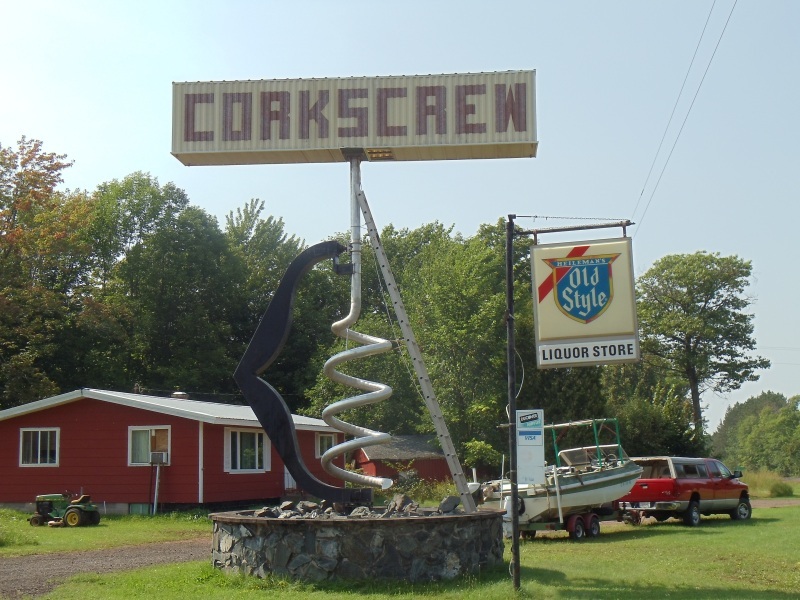 The owner is apparently a corkscrew collector, with none larger than the one out front.